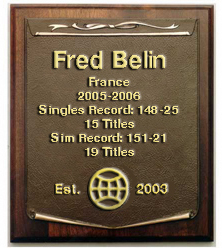 Periodically, the ITST will enter one of its members into the ITST's Hall of Fame. These members will be carefully selected by the ITST Management team from ITST's long history. Each member will have earned his or her place in ITST's Hall of Fame by merited achievement on one of its running or discontinued tours. 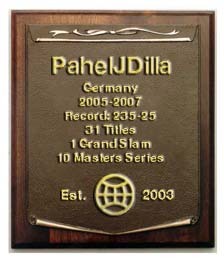 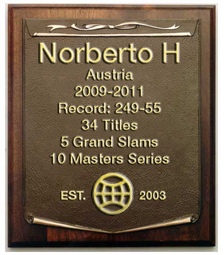 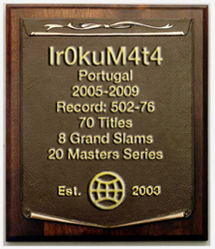 The plaques included on this page represent the members and their achievements that have been entered in the ITST Hall of Fame. 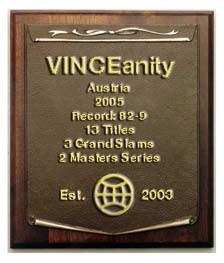 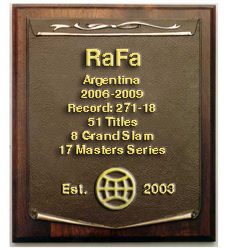 If you want to read more about these players you can click the plaques to be taken to the entry news article.